The third generation 2019 Kia Forte made its debut at the North American International Auto Show recently. 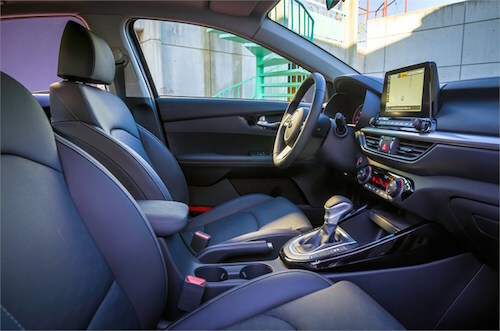 This new Kia compact car is packed with innovative new features, an elevated level of comfort and better fuel efficiency. New exterior styling for the Forte is refined yet sporty. Several design cues for this new model have been taken from the hot new Kia Stinger luxury sports sedan. The Forte’s long hood and short deck lend the appearance of a fastback while creases in the hood design and a lower stance make this model more muscular and youthful. The fastback shape has boosted passenger space in several key areas. 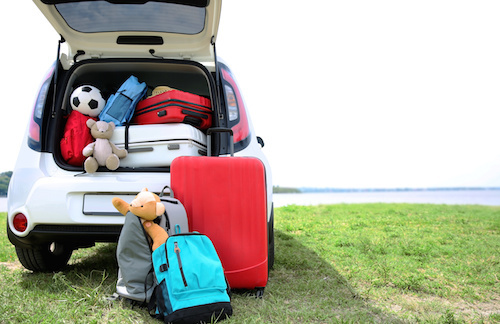 The new 2019 Kia Forte offers more legroom, headroom and cargo space than previous models. A clean and clutter-free dash design based on the horizontal theme used for the Stinger, includes a control center with minimal buttons, an 8-inch color touchscreen and spoked circular vents. Soft-touch upscale surfaces throughout the cabin create a beautiful and comfortable interior space. A new level of connectivity is found on the 2019 Kia Forte. It is Android Auto™ and Apple CarPlay® ready with a smartphone compatible system that can read texts aloud through Bluetooth®. 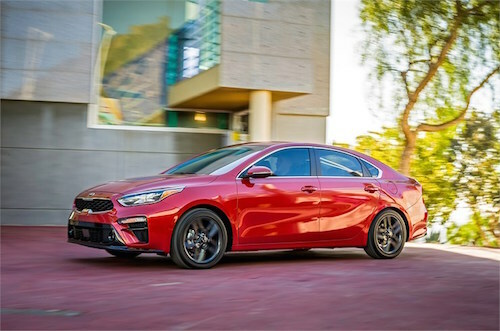 The new Forte is also equipped with Kias’ Advanced Driver Assistance Systems including Blind-Spot Collision Warning and Lane Keeping Assist features. Other available safety technologies such as Forward Collision-Avoidance Assist and Smart Cruise Control are offered for this model as well. 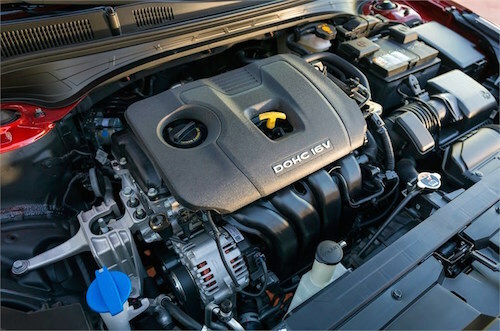 Under the hood of this new model lies a second-generation 2.0-liter Nu four-cylinder engine with Atkinson Cycle technology and a cooled EGR system. This technology is usually reserved for hybrid and electric vehicles and is instrumental in boosting fuel efficiency. A choice of two transmission types are offered for this model; a six-speed manual or Kia’s all-new Intelligent Variable Transmission. New 2019 Kia Forte models are expected to arrive later this year at our Kia Dealership near Atlanta, GA. If you would like to learn more about this model or any of the new Kia cars and SUVs available now please contact us.